Tanzania's Northern Safari Circuit is truly Africa at its most epic. Vast plains are scattered with huge herds of wildebeest stretch into hazy horizons, deep extinct calderas contain dense concentrations of wildlife, and lions that climb trees. Add to this the possibility of also witnessing the Great Migration crossing the Serengeti Plains depending on when you are holidaying here, coupled with the opportunity for some relaxation on a white sandy beach afterwards, it really is no wonder that a holiday here is second to none. © Travel ButlersThe Northern Circuit is the biggest draw for first-time visitors as it passes through some of Tanzania's most famous wildlife National Parks. 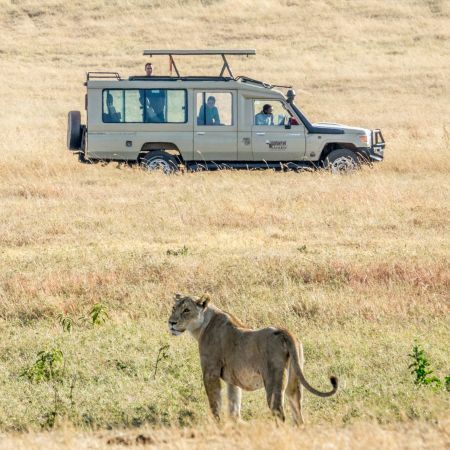 This loop includes the Serengeti and Ngorongoro Crater as well as the less frequented but very beautiful Tarangire National Park and Lake Manyara. The Ngorongoro Crater is on many peoples bucket list of places to see and visit. This natural wonder is the largest unflooded, intact volcanic caldera in the world. The actual crater is about 20 km across and 600 meters deep, and covers 300 sq km. Within the rim there are an estimated 30,000 animals, making this one of the densest concentration of wildlife within Africa. The Serengeti is probably one of the most famous safari destinations in the world, and offers what many people consider to be some of the best game viewing in Africa. It is excellent for seeing predators such as lion, leopard and cheetah, along with elephant, giraffe, hyena, hippo, rhino, and many varieties of antelopes and birds. Depending when you travel here, with careful planning it is also possible for visitors to be at the right place to witness the amazing annual Great Migration, as millions of wildebeest and zebra trek across the Serengeti Plains on a round 1,800 mile trip constantly in search of fresh grazing land. You may well have seen this wildlife phenomenon on one of the many documentaries, but there is only one real way to fully appreciate this and that is to be part of it yourself. The Tarangire National Park is especially renowned for its large herds of elephants, tree-climbing lions and huge pythons, but also for its rock paintings which were done by early man tens of thousands of years ago. The Lake Manyara National Park in particular is renowned for its excellent bird-watching opportunities in general, as more than 400 different bird species have been recorded. Getting around the Northern Circuit safari Parks normally involves the services of an experienced driver-guide and a private 4x4 safari vehicle with a pop up roof for easy game viewing, and sliding windows for that all important ‘low down’ photo angle. It will be just your group on the vehicle – so whether you are a couple or a family or a group of friends travelling together, the vehicle will be yours and yours alone – giving you all the flexibility in the world. The driving distances between the different Parks and camps can be long, however, and if you feel this may not be for you, then there are other options we can look at - such as flying part or even flying to every destination. Flying part of the way is certainly recommended if you are thinking about heading to either the Western Corridor or the far Northern Plains after visiting the Ngorongoro Crater/Manyara/Tarangire to hopefully catch the migrating herds when they are in these areas. But there's even more to this safari circuit than its wildlife and birdlife. The island of Zanzibar is a pocket-sized piece of paradise just 25 miles off the Tanzanian coast and 6 degrees south of the equator. It's a sultry little spice island surrounded by impossibly azure waters and it offers simple, sun-kissed bliss. Here, you can dive and snorkel through a kaleidoscope of coral or stretch out on soft, white sands as the island breeze rustles through the coconut palms. It's a totally tropical way to end a totally unforgettable trip to Tanzania. On this 'safari of a lifetime' holiday, especially if you are travelling between April and June, you’ll drive across the Serengeti which will be alive with the migrating herds of zebra and wildebeest, explore the vast volcanic Ngorongoro Crater, traverse through Tarangire National Park in search of wandering herds and predators on the prowl in the twilight, and explore the shorelines of Lake Manyara. You’ll balance out the energetic start to your holiday by heading to sultry Zanzibar, where castaway beaches are blended with swaying palms and sparkling seas. This is a 12 night itinerary including Arusha, Tarangire National Park, Ngorongoro Crater, The Serengeti, Lake Manyara and Zanzibar. A 5 night safari holiday followed by 6 nights in a beach hotel on the north-east coast of Zanzibar within steps to a white powder beach. Could you be persuaded? This holiday is best enjoyed in February, when millions of wildebeest calve on the Ndutu plains - but outside of this narrow time frame, the game viewing is still good. From June through November, when the plains are dry and the great herds gone, the resident animals converge around Ndutu's waterholes and marshes - elephants, giraffes, impalas, every kind of cat, and a profusion of birds. From December onwards, the migrating herds of wildebeest make an appearance, and the plains become alive with activity. This is a 12 night itinerary including Arusha, Lake Manyara, Ngorongoro Conservation Area, Ngorongoro Crater and Zanzibar. If you’re longing to see the classic highlights, this trip will whisk you through Tanzania’s famous wildlife hotspots over 6 nights and end with 5 glorious days on the coast of Zanzibar. Especially if you are travelling between April and June, you will find yourself surrounded by millions of zebra and wildebeest as they traverse across the Central Serengeti Plains, under the ever watchful eye of the resident predator population. 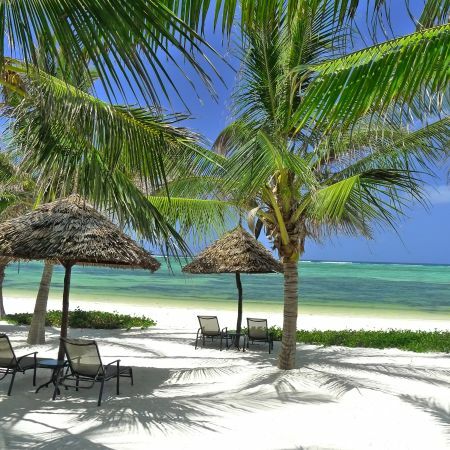 Then relax in a beachfront resort heaped with traditional Swahili charm, set in tropical gardens with over 1,000 palm trees. In this 12 night epic adventure, you stay under canvas in the heart of the wild African bush, and if Lady Luck is on your side and you travel between July and October, you get to witness one of the greatest wildlife phenomenons of all time - a Mara River crossing. This is a 12 night itinerary including Arusha, Tarangire National Park, Ngorongoro Crater, The Serengeti and Zanzibar. With this 12 night holiday, if you plan to travel around June time, the first of the migrating wildebeest herds should be reaching the Grumeti River in the Western Corridor, and this itinerary includes 3 nights at a lodge to give you a ringside seat of the 'Greatest Show on Earth'. A combination of driver-guide and flights ensures you get the best out of your time too. On this 12 night safari and beach holiday, you can enjoy fantastic game viewing at any time of year. Staying at authentic and classic safari tented camps and lodges in 3 of the most celebrated safari areas in Africa, the sheer concentration of wildlife will be simply phenomenal. You end with 5 nights on the north-west coast of Zanzibar Island, nestled amidst tropical gardens and a beautiful white powdery beach. And if that is not enough, at certain times of the year, one night will be complimentary as long as you stay 4 nights across a combination of Lemala properties - with the least expensive night being free. Perfect for travel between July and October, with your own driver-guide and private 4x4 vehicle for part of your safari, you will visit Tarangire and descend into the Ngorongoro Crater, before jumping on a plane and heading to the far Northern Serengeti plains to catch up with the massive herds of wildebeest as they cross between the Serengeti and Kenya's Masai Mara.